What is Data Recovery and How It is Helpful for You ? Home > Data Recovery Software > What is Data Recovery and How It is Helpful for You? What is Data Recovery and How It is Helpful for You? Data recovery is used to recall or recover data from any storage media facing data loss disaster. Data recovery works in a situation of accidental deletion, hard drive accidental formatting, Windows reinstallation, partition loss, system booting failure and much more. Data Recovery refers to a situation of recovering specific information which becomes inaccessible due to logical or physical damages of the targeted storage device. Recovery of lost data can be performed on the verity of storage media’s including a hard disk drive, solid state drive, USB, laptop or desktop internal hard drive, Flash drive, Memory or SD cards, etc. Different storage devices have one thing in common; they carries set of electronic equipment which may abruptly fail, become damaged or simply stops working and all the stored data may be compromised. Data recovery will look for the desired files around the storage area of aforementioned storage devices and recover them successfully even if the drive stops working or cannot be normally accessed. The exact understanding scenario of data loss is as important as recovering your lost data. Data loss word is often misunderstood by the user and hence, results in unsuccessful recovery or permanent data loss. Sometimes, simply deleting files from its stored location doesn’t mean that it has been permanently lost. 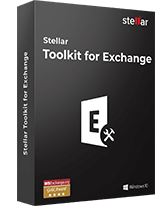 Instead, it can still be found in recycle bin folder of your system and can be easily restored (right click on the files in recycle bin folder and select ‘Restore’). Data loss situations include inaccessibility of storage devices or the files is no longer located on the problem device. Common reasons for data loss will include logical and physical corruption to the drive. After which, it’ll make your data inaccessible or the drive itself become non-accessible. This kind of failure occurs with most traditional as well as modern hard drives. In logical failure or damages, you’ll not be able to access the drive but still, can see it on BIOS or under Disk Management. File system corruption, OS failure, registry damages are the top contributing factor in logical hard drive failure and prevent stored content to be normally accessed by the user. As the internal structure of the problem drive is intact or undamaged, there is a good hope of complete data recovery if followed carefully. You can seek for the alternatives of data recovery like recovery programs or dedicated data recovery experts which can guide you well on easily restoring your data from inaccessible storage device. It refers to the permanent failure of any storage drive compromising physical damages to electronic equipment of the storage device. This kind of failure prevents access to the storage device and will require you to take it to data recovery experts so you can get back your valuable files. Data recovery experts use class 100 clean room to treat the problem drive carefully and assures guaranteed recovery. Data stored on the hard drive platters (created using metal oxide) which spins at a rate of 800 to 15000 RPM while read writes actuator arms reads or writes data at very close distances of the platters surface. Failing arms or platters will lead to permanent damages to stored data and thus, make it non-recoverable. With increased demand of storing capacity, manufacturers would try to compress more data within the smaller hard drive surface which makes data recovery process complex and time-consuming. Once the data has been deleted from storage devices, it’ll not be permanently deleted. Instead, it’ll continue to exist around the storage device which can be seen and later recovered using data recovery tools or data recovery services. Data recovery employs the powerful algorithm to deeply scan the storage device (storage area of the device) and list all the entries marked as deleted. 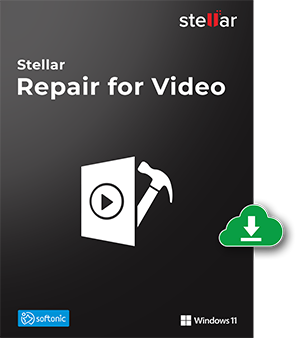 In other words, data recovery tool will collect pieces of deleted or formatted files from MBR (master boot record) of the storage device and lets user preview files before actual recovery. In case the files which you are trying to recover has been severely damaged, or any Virus/Trojan had modified the files header content, it’ll no longer be detected by most advanced recovery software. You can ask or contact to data recovery expert and see if they would able to recover your data. With latest technologies and set of tools provided, you can tackle data loss situation effectively. 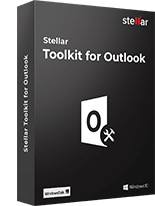 Cloud space, backup drive, inbuilt OS utility to store files, etc. are the common ways you can avoid data loss. Enterprises can opt for virtual cloud space to store huge amount of data and make it accessible throughout various servers so it can be accessed from sitting anywhere in the world. Creating a backup and distributing it across different storage channels like backup drive, burning copy of data to CDs or DVDs can increase the chances of data availability even if the primary source becomes inaccessible or fails permanently. You’ll need to check the consistency of your backup source weekly if not regularly. It’ll also boost up the chances of immediate data restore as sometime, the backup drive itself may become corrupt or damaged. List of supported storage devices? Data lost from the aforementioned storage devices can be restored using effective data recovery methods. Keep in mind that different storage devices require different kind of data recovery operations like Android devices require rooting before getting the files recovered. You should avoid employing unwanted attempts to get back your data from non-working or physically failed storage devices. It’ll only make the situation worse and creates new challenges for successful file recovery. For example, the user may try to put the failed storage device into the freezer to make it accessible one more time so that they can retrieve important files. This can or cannot work but involves great risks of losing your data permanently. It’s better to avoid such attempts to keep your hope alive of retrieving your files back. There are many failed data recovery attempts applied by the end user which results in permanent data loss as reported by the major data recovery industry leaders like opening the case of storage device to change the failing equipment, connecting the drive directly using motherboard so it can be better accessed, applying hard drive repairs utility to fix the logical hard drive corruptions, etc. These activities have created new challenges for data recovery industry and great concerns for the user data safety. Data recovery and data repair are closely related words, yet they are different and relates to completely different operations. When the user files get lost, deleted or formatted and cannot be seen anymore on the location, it was stored previously or any other locations, it refers to be deleted or lost permanently. There are no alternatives to resurrect lost files other than using data recovery procedure. Whereas, Data repair or file repair refers to file that has been damaged or severely corrupt and cannot be read or opened by subsequent programs. In such cases, we can use file repair utility that comes with rebuilding mechanism to rebuilt the corrupt structure of any targeted files and make it reusable so it can be read and accessed as it should. You can also face a critical situation of recovered files being not opening. 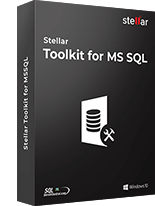 There is a huge probability that recovered files are severely damaged, or the header content has been overwritten which prevents recovery program to completely recover the lost files. Hence, you may not be able to access the recovered files sometimes even if the recovery program states that the files have been recovered successfully. All in all, data recovery works well if you’ve had stopped using the problem drive immediately after encountering any of the described data loss situation. If you want to increase the chance of successful recovery and don’t know how to proceed, you’d better ask for data recovery pros for help. Additionally, it’s always recommended to use efficient recovery software than can understand the nature of challenge well and perform accordingly. You can download free data recovery software already available online that might be your best solution, but it completely depends on how wisely you choose them. Data recovery often faces challenges with various kinds of storage devices. However, with powerful mechanism and rich capability, it can and does address even the most typical data loss circumstances. Data recovery does support recovery from the complex storage devices like SSD’s and devices of various size. You can now recover data from huge capacity storage drives of 2 TB’s or higher. Why isn’t data recovery always successful? Keep in mind that data recovery process may fail to recover the desired files which you’ve had lost or deleted because of various reason. One most popular reason for unsuccessful recovery is due to overwriting which cause severe damages or even completely removes the information about any recently deleted or formatted files. This will restrict data recovery program to find overwritten files and thus, your data might have been gone forever. Avoid using the faulty drive or storage media once data loss disaster strikes. Remove the drive and plug it back externally to another computer using SATA / USB adapter to perform data recovery and safely recover files. Doing this will ensure that no read/write operation has been performed on the problem device and increase the chances of successful data recovery. Valuable information stored on the storage drives can fade way at any point in time. You might get no clue about how and why this has happened to you and how you might able to get those deleted or lost stuff back to life. Data recovery would be your last resort to quickly and easily recover them. Data recovery doesn’t require you to be a computer expert or tech savvy. Instead, few basic computer skill is all you need to be able to recover almost anything you’ve lost or deleted permanently. 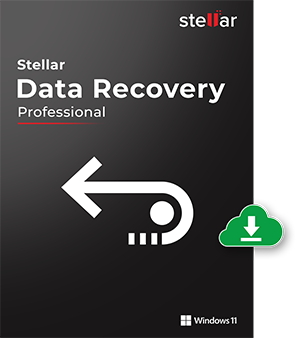 With prior information and guided steps, you can smoothly recover data even from the complex situations of data losses. Don’t worry if you’re not that much technical or computer beginners; you can still be able to perform data recovery using easy and intuitive data recovery programs which often comes with wizard-based recovery steps to help you recover data in not more than 3 or 4 steps. It’s recommended to avoid applying unnecessary attempts to recover. Instead, go and check for data recovery experts available online. 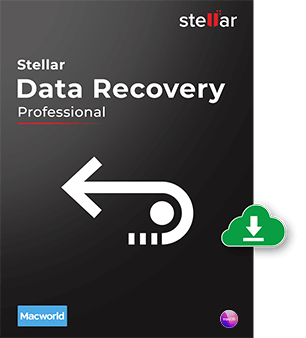 Data recovery expert at Stellar Data Recovery, recovering data since 1993. Playing around with hard drives, Windows OS issues and suggesting fixes is among the major activities I love. 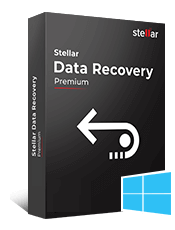 Stellar Data Recovery Professional for Windows Stellar Data Recovery has the right Windows Recovery tool for all your data recovery..
Stellar Data Recovery Professional for Mac Stellar Data Recovery for Mac program performs safe..
Stellar Photo Recovery A comprehensive photo recovery software to restore photos, music & video files..
Stellar Repair for Video Powerful video repair tool for repairing corrupt or damaged MOV and other video files.. 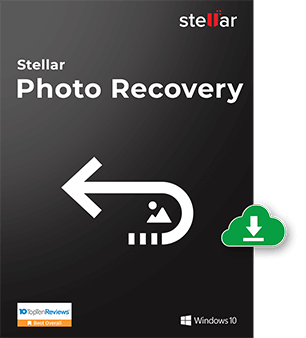 I want to recover only multimedia files from this data recovery software. Is it possible? Yes, it is very much possible. Once you download the software. On the very first screen, you found the option to “Select What To Recover”. In this section option to recover data from multimedia files are present. Such type of content are rarely to see anywhere on internet. 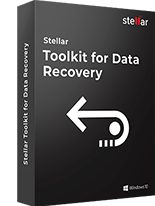 Thanks Stellar Data Recovery for sharing such a informative content with us. I am always passionate about hard drive and its working. General problems with hard drive and how data recovery works. I try to cover all the post on this website and every time I read, I learn a new point. Data Recovery is such a situation which one is trying to avoid. Recovery of a Data depends upon its damaging factor: Logical damage or a Physical damage. If it is physical damage, then opting for a data recovery services is wise and if the damage is logical, it all depends upon the user pocket: whether to go for a data recovery software or a service. Thanks for sharing a blog with us. I was always curious to learn about data recovery and how it works. Since lots of articles, blogs, content are flooded on internet related to this. But I really liked the above content which gives me deep knowledge about this matter. Thanks for clearing all my doubts in a single post. Why the people reached to the situation where they need to go for a data recovery stage. It’s better to go for a backup which will help them to save their money from investing in a data recovery software or a service. I too agreed with the words of Mr. David that data recovery is a painful situation. I think the persons who have faced data loss can easily understand this pain. But, I would like to advise my friends that before reaching to a stage where you can also face the data loss issue, I think we all must take multiple backups of our data so as to avoid the data loss problem. Thanks for sharing the post with us!